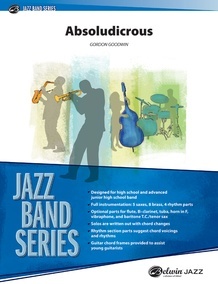 Gordon Goodwin's "Absoludicrous" is a totally hip and fun chart played at 120 BPM. The electric piano will sound great on the funky piano introduction. 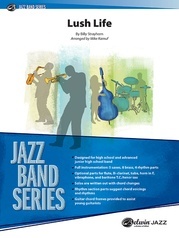 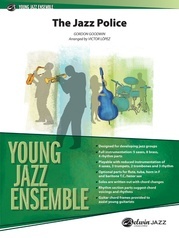 Written solos are provided for alto / bari, tenor, trumpet, and trombone. 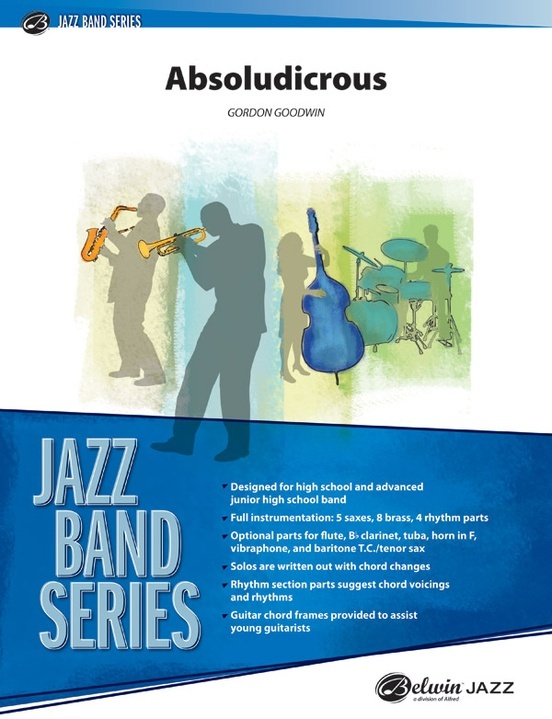 The lead trumpet range is up to written high C. Auxiliary percussion, flute, and vibes part provided. A hit for any show! (6:04) This title is available in SmartMusic.